Khoi is an independent artist who is shaping public discourse in Vietnam. She reached stardom in 2010, when she won the highest award for songwriting in Vietnam. As a celebrity, Mai advocated for women’s rights, LGBT rights, and to end violence against women. More recently, she became the focal point of public discourse after nominating herself to run in the 2016 parliamentary elections. Her pro-democracy campaign sparked a nationwide debate about political participation and ultimately led to a meeting with then-U.S. President Barack Obama. Since running for parliament, Mai has had her concerts raided, has been evicted from her house twice, and is effectively banned from singing in Vietnam. In March 2018, she was detained at Hanoi airport on suspicion of “terrorism” after returning from a European tour. Despite this harassment, Mai continues to find creative ways to spark conversation on art, human rights, and democracy. In February 2018, she released a new album, “Mai Khoi Chem Gio – Dissent.” In a review of the album, The Economist commented, “If music alone could break chains, this would be the music to do it.” Mai’s work aims to counter the authoritarian ways of thinking that justify social control. She is currently the subject of a feature-length documentary that is scheduled to air on Netflix in 2019. The Havel Prize ceremony will be broadcast live at oslofreedomforum.com at 3:00 p.m. Oslo time (GMT+2) on Wednesday, May 30. 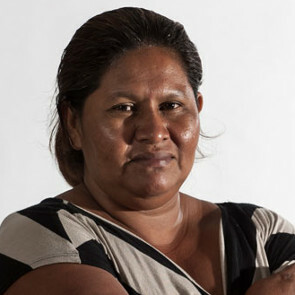 On 23 April the Guardian and other papers announced the laureates of the 2018 Goldman environmental prize and note that most of the winners are women. They are grassroots activists who have taken on powerful vested interests. For more on this award: http://trueheroesfilms.org/thedigest/awards/goldman-environmental-prize. This year’s Goldman environmental prizes celebrate six remarkable success stories, five of them driven by women. French marine-life champion Claire Nouvian. Philippines anti-lead campaigner Manny Calonzo. 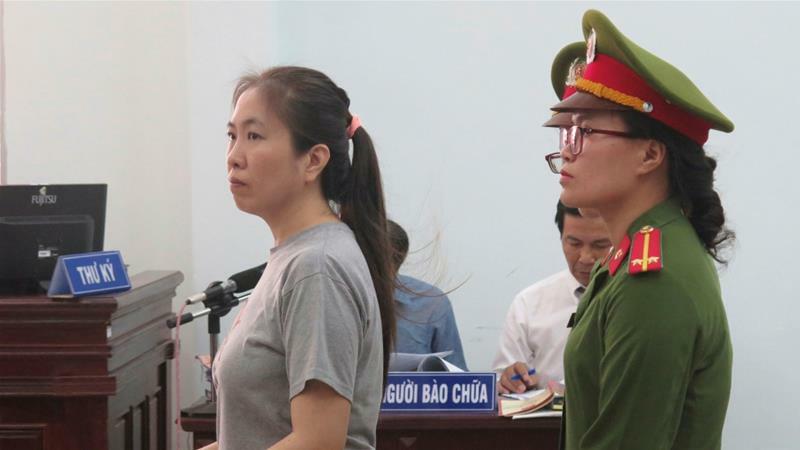 A Vietnamese human rights defender and blogger – now under house arrest – says she will not travel outside the country to receive a human rights award in March, vowing instead to remain in Vietnam to work for change in the one-party communist state. Pham Doang Trang, author of a recently published book on political engagement that has angered Vietnamese authorities, wrote on Wednesday on her Facebook page that she will not attempt to go abroad to receive her prize, according to Radio Free Asia on 28 February 2018. “I haven’t gone abroad and don’t plan to, not even for a few days to receive the Homo Homini Prize in the Czech Republic on March 5,” Trang said. “I will never leave Vietnam until Vietnam has changed.” “When one is like a fish that has been born in a dirty and polluted pond, one can either find one’s way to a nicer and cleaner pond nearby or to the vast ocean, or one can try to change one’s own pond to make it beautiful, breathable, and worth living in,” Trang said. “I choose this second option”. 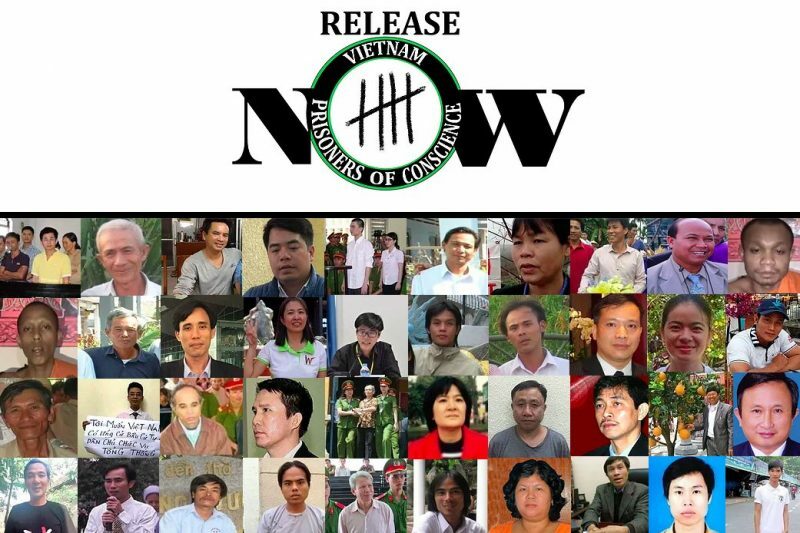 Nine human rights groups launched the #StopTheCrackdownVN campaign decrying the crackdown of bloggers and activists in recent months and the harsh prison terms handed out to critics of the state. Don Le, a writer and member of Viet Tan political party, explained how the notorious articles 79 and 88 of the law are used by authorities to silence citizens: The law also allows authorities to filter, block or temporarily shutdown networks on the basis of any information that may be seen to “incite” mass gatherings that disturb national security and order. Given the Vietnamese government’s broad interpretation of national security, we might expect to see more attacks and shutdowns aimed at independent media and bloggers and arrests of peaceful community mobilisers. But Vietnam is not easily impressed as the recent case of reprisals shows: Front Line Defenders reports that three human rights defenders were briefly arrested after meeting the EU Delegation in Hanoi. [On 16 November 2017, human rights defenders Pham Doan Trang, Bui Thi Minh Hang and Nguyen Quang were arrested by police after attending a meeting with the European Union Delegation in Hanoi to discuss human rights issues ahead of the EU – Vietnam Human Rights Dialogue, scheduled for 1 December 2017. 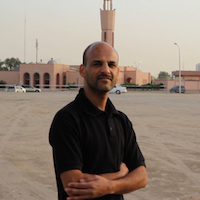 After being kept incommunicado without access to legal representation, the human rights defenders were released. They remain under surveillance.] From Line adds that: Authorities in Vietnam have a habit of tightening the grip over human rights defenders and civil society ahead of international meetings. During the APEC Summit in Danang between 6 and 10 November 2017, and afterwards, during the state visits of U.S. President Donald Trump and Chinese President Xi Jinping, several human rights defenders and activists were kept under house arrest and heavy surveillance. Reports also state that human rights defenders were harassed by policemen in plainclothes to prevent them from meeting with international officials or organising demonstrations. The Office of the UN High Commissioner for Human Rights issued a statement in July 2017 expressing concern about the detention and persecution of citizen journalists: We urge the Vietnamese authorities to immediately release all those detained in connection with their exercise of their rights to freedom of expression, and to amend the overly broad ill-defined laws that are used – under the pretext of national security – to crack down on dissent. 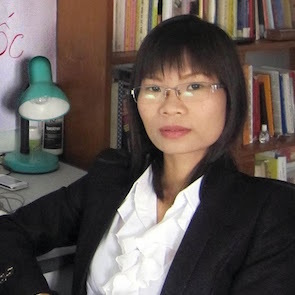 On 20 April 2015 I reported on a Vietnamese blogger nicknamed “Mother Mushroom” being awarded the Civil Rights Defender of the Year award [https://humanrightsdefenders.blog/2015/04/20/vietnamese-blogger-mother-mushroom-gets-civil-rights-defender-of-the-year-award-2015/]. Now a long piece by Visen Liu under the title ““Why did the fish die?” goes into detail about why Vietnam thinks it needs to imprison for 10 years a mom blogger. With a blue fish painted on her cheek, a smiling Nguyen Ngoc Nhu Quynh stares out from her Facebook page, where she writes in Vietnamese under the name Mẹ Nấm, or Mother [of] Mushroom. Nguyen, a single mom and tour guide, began blogging over a decade ago adopting her daughter’s nickname as part of her writing name; in recent years she’s sometimes added on “Bear,” a nickname for her younger child. The 2016 fish die-off. Nguyen has often posted about the deaths of some 70 metric tons of fish in April 2016 that locals blamed on waste water from a new steel plant in the Ha Tinh province owned by Formosa Ha Tinh Steel, a subsidiary of Taiwan-based Formosa Plastics Group, a major investor in Vietnam. State-media first blamed the firm for the marine crisis, which hurt both fishing and tourism, but then back-tracked. The firm also initially said it was not to blame, sparking anger and protests. While heading to an environmental rally last May, Nguyen was assaulted in a hotel lobby, according to the Office of the United Nations High Commissioner for Human Rights (OHCHR). Later that month, Nguyen made it to another rally and managed to hold up a sign asking “Why did the fish die?” Vietnam eventually officially blamed Formosa, which has promised to pay $500 million for clean-up and compensation. Security authorities cited signs they found in Nguyen’s home, including one that says “Fish need water,” as part of their evidence against her, according to the OHCHR. South China Sea In November 2015, Nguyen called on people to rally against the visit of Chinese president Xi Jinping, citing detentions of fishermen as well as China’s treatment of its ethnic minorities. Vietnam and China have ongoing territorial disputes in the South China Sea. In an earlier post she criticized Vietnam’s stance with China over the South China Sea. Deaths in detention Nguyen and others compiled reports from state-owned media and put together a file called “Stop police killing civilians” about 31 people who died in police custody. The document was later criticized by the police: “[It] bears a hostile viewpoint against the people’s police force.” …. 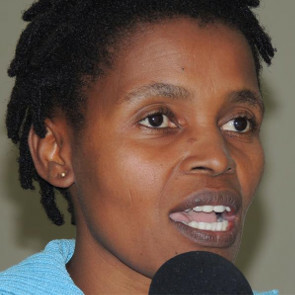 ..She was detained and allegedly assaulted by police several times before her current incarceration. One time she faced a $66 fine over her Facebook posts. When Civil Rights Defenders, a Swedish advocacy group, awarded her the title of Defender of 2015, she was not able to receive the prize in person as she was in detention. At the same time as she was becoming an increasingly active blogger, Nguyen continued to support her family, including her two children, 60-year-old mom and 90-year-old grandmother, by working as an independent tour guide. Things came to a head last year. Nguyen was arrested in October 2016 after she accompanied the mom of an imprisoned online activist to help her see her son. Her daughter, now 11, saw her being hand-cuffed and taken away by numerous police officers. Nguyen’s son was just two at the time of her arrest. In March, the US awarded her its “Women of Courage” award. Numerous rights groups have called for her release, including Human Rights Watch, Civil Rights Defenders and Pen America. “Her activism has been motivated in part by her strong views that her children should inherit a country where human rights, environmental protection, and rule of law are meaningful and part of everyday reality, and not just rhetoric spouted by the ruling Communist Party,” wrote Phil Robertson, of Human Rights Watch…. Adidas and Human Rights Defenders: no longer run-of-the-mill? On 31 December 2015, the Business and Human Rights Resource Centre listed in its “KnowTheChain” (a ranking of 20 apparel and footwear companies on efforts to address forced labour in the supply chain) Germany-based Adidas as number one out of 20. The threats faced by human rights defenders come in many forms – physical, psychological, economic, and social – and involve the interaction of many factors (poor governance, the absence of the rule of law, intolerance, tensions over development issues, etc.) and can be triggered by different actors, both private and State. In his report to the General Assembly in 2015, the UN Special Rapporteur on the situation of human rights defenders recommended that both States and businesses should play an active role in supporting and promoting the role of HRDs working in their sectors. This should include, for example, speaking out when human right defenders are targeted for their corporate accountability work. Businesses must also cease and abstain from supporting any actions, directly or indirectly, which impinge upon defenders’ rights to freedom of expression, association and assembly. The adidas Group has a longstanding policy of non-interference with the activities of human rights defenders, including those who actively campaign on issues that may be linked to our business operations. We expect our business partners to follow the same policy; they should not inhibit the lawful actions of a human rights defender or restrict their freedom of expression, freedom of association, or right to peaceful assembly. We value the input and views of all stakeholders and we are willing, and open, to engage on any issue, be this related to our own operations or our supply chain. Often, our engagement with human rights defenders is constructive, especially where we identify areas of shared concern. For example, with respect to transparency and fair play in sports, or environmental sustainability, or the protection of worker rights in our global supply chain. In these instances, we may actively support the work of the HRD and derive shared value from our joint endeavours in, say, improving working conditions, safety, or the environment. MEPs deplore the worsening climate for opposition politicians and human rights activists in Cambodia and condemn all acts of violence, politically-motivated charges, arbitrary detention, questioning, sentences and convictions imposed on them. The Cambodian authorities should revoke the arrest warrant for, and drop all charges against, Sam Rainsy, President of the leading opposition party, the CNRP, and also immediately release the five human rights defenders still in preventive custody, namely Ny Sokha, Nay Vanda, Yi Soksan, Lim Mony and Ny Chakra. All politicians, activists and human rights defenders should “be allowed to work freely without fear of arrest or persecution”. Given that the EU is Cambodia’s largest development assistance partner, with a new allocation of €410 million for 2014-2020, Parliament calls on the European External Action Service (EEAS) to make the “amount of EU financial assistance dependent on improvements in the human rights situation in the country”. EU member states, foreign policy chief Federica Mogherini, the EEAS and the EU Commission should also set out clear benchmarks for the forthcoming elections in Cambodia, consistent with international law on freedom of expression, association and assembly, it adds. 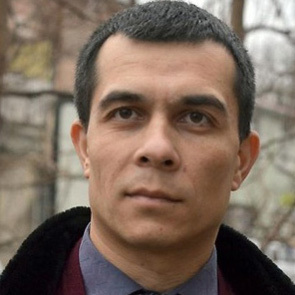 Parliament is deeply concerned about increases in the detention and arrest of human rights lawyers, political opposition members and their relatives in Tajikistan. Restrictions on media freedom and internet and mobile communications, and restrictions on religious expression are also worrying in this country, it adds. MEPs call for the release of all those imprisoned on politically-motived charges, including, well-known businessman and government critic Abubakr Azizkhodzhaev, opposition figure Zaid Saidov, activist Maksud Ibragimov, opposition deputy leaders Mahmadali Hayit and Saidumar Hussaini, and 11 other members of the Islamic Renaissance Party of Tajikistan (IRPT). The EU has a “vital interest in stepping up political, economic and security cooperation with the Central Asian region via a strong and open EU-Tajikistan relationship”, says the resolution. But “political and economic relations with the EU are deeply linked to the sharing of values relating to respect for human rights and fundamental freedoms”, adds the text. MEPs deplore continuing human rights violations in Vietnam, including “political intimidation, harassment, assaults, arbitrary arrests, heavy prison sentences and unfair trials, perpetrated against political activists, journalists, bloggers, dissidents and human rights defenders”, and call on the government of Vietnam to put an “immediate stop to all harassment, intimidation, and persecution” of these individuals. “The increasing levels of violence perpetrated against Vietnamese protesters” demonstrating throughout the country in May 2016 to express their anger over “an ecological catastrophe that decimated the nation’s fish stocks” are worrying, note MEPs. The Vietnam government should respect the right to freedom of assembly in line with its international human rights obligations, the findings of the investigations into the environmental disaster should be published and those responsible should be held accountable, they add. The resolution also calls on the Vietnam government to put an end to religious persecution in the country, to amend legislation on the status of religious minorities and to withdraw the fifth draft of the law on belief and religion, currently being debated in the National Assembly, as it is “incompatible with international norms of freedom religion or belief”. In a post last year I referred already to the fears that the NGO Committee of the UN was becoming very NGO-unfriendly [ https://thoolen.wordpress.com/2015/06/07/uns-ngo-committee-seems-not-very-fond-of-ngos/]. Now the ISHR has reported on another case where this UN committee has shown its lack of fair play by refusing let a NGO apply without even wanting to hear the NGO in question. On 1 February 2016 the International Service for Human Rights informed us that the NGO Committee had voted to close the application of the Khmers Kampuchea Krom Foundation (KKF) denying the NGO the opportunity to apply for consultative status. This came on the back of the Committee’s decision on Thursday to deny the NGO the opportunity to even speak in support of its own application. Only 3 Committee members voted against closure of the application – Greece, Israel and the US- with Uruguay abstaining. All other Committee members voted in favour. Vietnam – the State that has consistently objected to the application by the KKF – congratulated the Committee on its decision and its ability – as it described it – to distinguish between ‘genuine’ NGOs and others. The request by Cuba, Nicaragua and Venezuela to close KKF’s new application was challenged by the US who called the move premature, as the NGO’s application had only been considered once by the Committee. It was agreed the NGO Committee would vote on the application on Friday morning. The members of the Committee then voted on the Chair’s proposal to allow the NGO to speak at the regular Q&A held at the end of each day the NGO Committee sits. Greece, Israel, US and Uruguay voted in favour of allowing the organisation the right to speak. Russia abstained. All other members of the Committee – Azerbaijan, Burundi, China, Cuba, Guinea, India, Iran, Mauritania, Nicaragua, Pakistan, South Africa, Sudan, Turkey, Venezuela – all voted against, except Guinea who was absent. The US noted that it was essential that the KKF be allowed to speak as this had to date been a one-sided discussion based on Vietnam’s original protest against the NGO. The US noted that ‘a serious allegation of misconduct’ was made against the NGO and the Committee was denying the NGO a chance to respond. They characterised the vote as one between freedom of speech and silencing debate. Committee member Greece rightly noted that ‘one thing is to object to an NGO and another is to silence them’. ‘Not only has the reputation of the organisation been seriously questioned, but a dangerous precedent set where an UN Committee silences an NGO seeking to engage with the UN. This is plainly incompatible with the rights to freedom of expression and association,’ Ms Openshaw said. ISHR’s view in this regard is strongly supported by the UN’s own expert on freedom of association and assembly, Maina Kiai, who in a report in 2014 said that multilateral institutions have a legal obligation to ensure that people ‘can exercise their rights to freedom of peaceful assembly and of association in multilateral arena’. In that same report, the Special Rapporteur was particularly critical of the conduct of States on the UN’s Committee on NGOs, resulting in the systematic exclusion of NGOs working on human rights issues. ‘States sitting on the Committee should champion the right to freedom of association and the right to freedom of peaceful assembly,’ said Mr Kiai in his report.